If your league is looking for a way to spice things up this season and veer-off from the conventional 1 quarterback, 2 running backs, 2 wide receivers, and 1 tight end leagues, what better way to do that then having to start 2 players from the highest scoring position- the quarterback! 2-QB leagues not only throw conventional ADP out the window since quarterbacks are taken early and often, but they also utilize a bit more strategy than the average draft, as there are many differing opinions on what the flow of your draft should look like. The following are only three different strategies you can implement when you're on the clock deciding when to take your 2 starting QBs. If you decide to wait until the first 10 QBs or so are drafted, you'll be able to stack your roster with many elite players early, which is a significant advantage compared to your opponents. In current 2-QB ADP, the top-10 QBs are being drafted in the first four rounds, so you are looking to draft your quarterbacks in the late fourth and early fifth rounds. Once the fourth round comes you are then able to select the best of the rest and have your pick of a handful of solid quarterbacks. 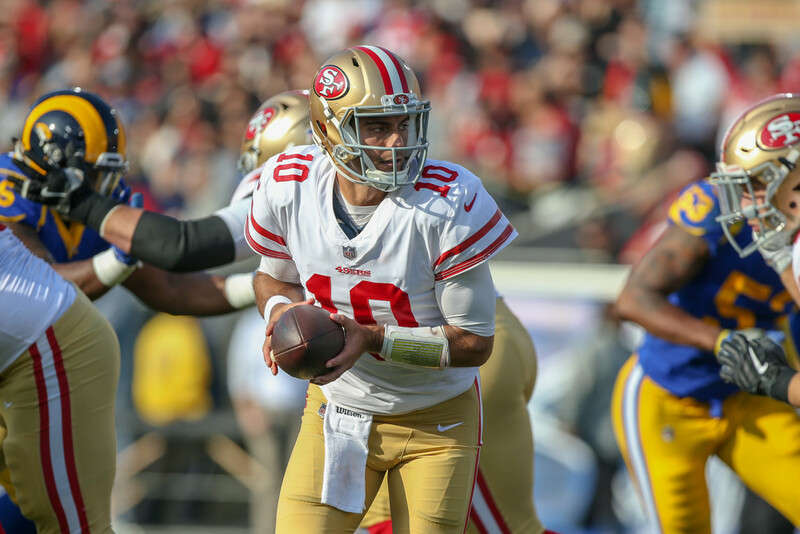 Some options this season are Jimmy Garoppolo, Andrew Luck, and Patrick Mahomes. If you really want to draft an elite QB, consider this strategy. It involves spending your earliest draft pick to lock down one of the top-three best quarterbacks. In a 2-QB format, the elite QBs are almost always selected in the top two rounds, and if you're looking to use this strategy, you will need to take your second QB between rounds six through eight, depending on the value presented. If we view current 2-QB ADP, you can end up with a solid pair of signal callers. First round quarterbacks include Aaron Rodgers, DeShaun Watson, and Russell Wilson. You can pair any one of these quarterbacks with the likes of Alex Smith, Dak Prescott, or Mitch Trubisky. If you do decide to utilize this strategy, you'll undoubtedly need to hit your 2nd and 3rd round picks if you want to gain the advantage from reaching on your first quarterback. Besides punting the position and grabbing two absolute late-round quarterbacks, this strategy carries the most risk. If you start back-to-back elite quarterbacks in your draft, you will have an edge over the competition from the QB position, however, you will suffer as early as the following round. From here until the end of your draft, you're playing catch up with little-to-no room for error. This year, you can find Alex Collins in the 3rd and pair him with a Stefon Diggs or Tyreek Hill. If you employ this strategy, you're praying other owners don't wait on both their quarterbacks so that value slides down to you in the 3rd round. Draft at least 3 quarterbacks. Throughout the year you will need bye-week coverage, and, while difficult to predict, injuries do happen. With there being a minimum of 24 QB's starting each week, you're left with scraps on the waiver wire since almost every starting QB will be rostered. When you prepare for your 2-QB draft, think ahead and pay attention to bye-weeks. If you're rostering three quarterbacks, you will want to ensure that all 3 have a different bye week so that you're not having to roster 4 quarterbacks just to get by for a week. Save that extra bench spot for someone with more upside who you can add for depth at the running back or wide receiver position.